Today, I am putting out a new update for Pulse! v2.5.0 brings a ton of new features and improvements over the previous releases of Pulse. Grab it on the Play Store now! Pulse has always been a bit lacking in the global themes department. 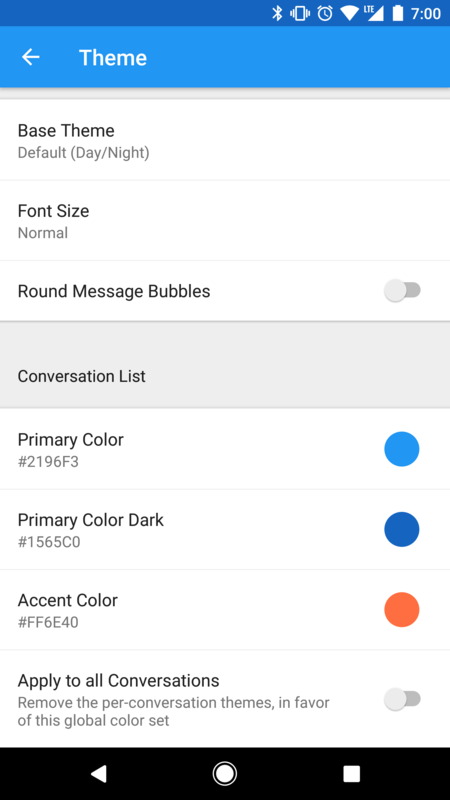 It has had very powerful per-conversation theme support from the start, but when theming the conversation list, you were limited by the number of colors. In the past, applying a global theme also removed the per-conversation theming functionality. The new release of Pulse changes that! You get a ton of new color choices for the global themes. This color selection now matches what you got on the per-conversation level! Choose whether or not you want to apply the global theme to all the individual conversations, or if you want to continue to theme them separately. You can now set an accent color separate from the primary color for a global theme. There is a new "all white" theme choice. There are tons of improvements around support for light theme colors, such as white or light yellow. The app bar will now respond accordingly and the status bar will adjust to the "dark" icons when required. With the release of Android Oreo, everyone wants to get their taste! 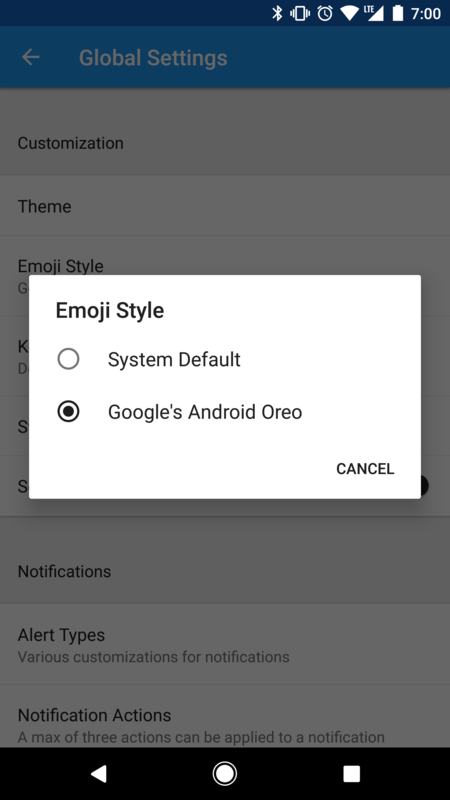 Pulse now allows you to choose between the default system emojis or the new Android Oreo emojis! As a bonus, if you select the Oreo emojis, they come with full support for the latest emojis standards. You won't have to worry about not being able to see one of the emojis that your friends send you. This release has a ton more packed into it, as well! Copy parts of an individual text message, instead of the full message. 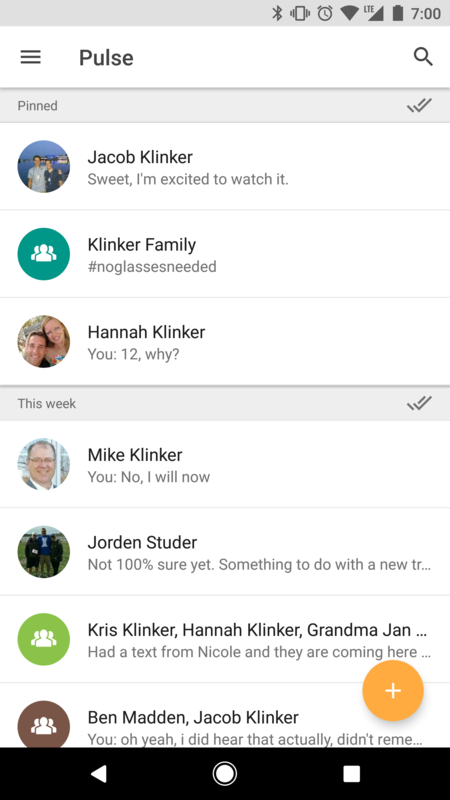 Edit the recipients in a group message. 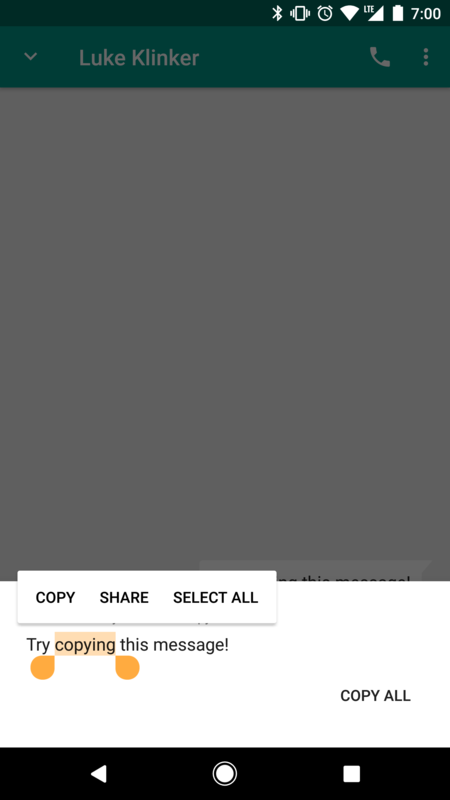 Send messages from the Android TV app. If you use a signature, long clicking the send button within a conversation will send the text without that signature applied. If you check out the changelog in the About section of the Android app, there are a ton more little changes, fixes, and tweaks. It had been a few months since the last major Android release - I have been focusing on improving the web experience - but I think that this update makes up for it! If you haven't tried the online version of Pulse yet, it comes highly recommended. Try it out with the free, seven day trial and I know you will fall in love. Enjoy the update and let me know what you think of all the new features!